Jean-Luc Bilodeau on Meeting Gary Busey, David Hasselhoff in "Piranha 3DD"
Did u feel part of the Tragger Family when u watched the show? Um no that would be weird! which eye's color do anda prefer on kyle? Who would anda like Kyle to end up with? Were anda mad/upset at the way ABCfamily canceled the series? What do anda think of Latnok? How many seasons has Kyle XY? Who thinks that Kyle and Jessi are MTB (Meant To Be) ?? Okay, I completely get the obsession with the complete lack of ending we got at the end of season 3, but people, anda must listen very carefully: Kyle XY isn't just about the Cinta romance thing with Kyle and Jessi. Kyle and Jessi stood toe to toe in her room. Kyle struggled to mutter out some words to react: "You're f-.... Um..." He frowned with fumbled words as the color drained from his face. He suddenly relied on the doorknob for support as his legs began to fail him. Days passed and Amanda continued to notice Kyle's distant demeanor when he was spending time with her. They decided to eat lunch together outside the school at the quad. After the police arrived at the scene, Jander (Jessi + Xander) had telah diberi their statements and found a cottage-like cafe just blocks away. The KXY peminat-peminat are still posting and blogging to convince ABCFamily to put KXY back on. MONDAY ON AN ALL NEW KYLE XY. SAVING A TUB, AND SAVING A SHOW. WHEN IT IS TIME TO START NEW PLANS AND THE FINALE WORD IS TO THE FANS. TUNE ON HERE link TO HELP SAVING THE SHOW. 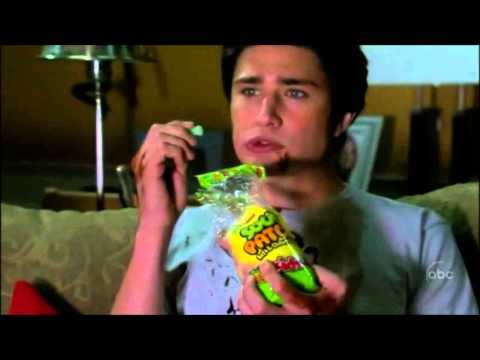 ONLY ON ALL NEW KYLE XY MONDAY 9/8C (US) ONLY ON HIS LOYAL peminat-peminat FAMILY. A TRUE KIND OF FAMILY. I have already written about the first novel based on Kyle XY. So here is something on the saat novel, also authored sejak S.G. Wilkins and aptly titled Kyle XY: Under the Radar, and can be linked to the season two of the show. a comment was made to the link: Which Kyle XY Character Are You? a comment was made to the poll: Who would anda like Kyle to end up with? What is the number of the Tragers house? how to watch Kyle XY online? We've won, Kyle XY is the winner of the "Save on tunjuk pol" !!!! !